Since the mid 1980’s I’ve been a fan of Animotion’s work. I would be remiss in not mentioning that a big part of my original interest in the band related to the huge childhood crush I had on Astrid Plane, whose image (similar to other contemporaries of the time like Cyndi Lauper, Chrissie Hynde and Madonna) exuded strong femininity and confidence. However, even as a young boy I sensed that there was a deeper, hidden layer of meaning behind the band’s lyrics that was obfuscated by their otherwise seemingly accessible pop sensibilities and aesthetic. Very adult themes relating to relationships, sexuality, love and loss permeated their lyrics. Additionally, the yin and yang pairing of feminine and masculine energy (manifested by Astrid Plane and Bill Wadhams) created that fine (and often precarious) balance between energies, talents and egos that is hard for most bands to sustain over time. I was recently given a copy of their new album entitled, appropriately enough, “Raise Your Expectation” (their first studio album in nearly 30 years). As surprising as this may sound, my visceral reaction after listening to all eleven songs was that I liked it. A lot. There is an unfettered creativity in the album, a palpable energy and sincerity. It is an album that is (I must admit, surprisingly) refreshing, contemporary and unique, while still grounded in the band’s trademark 80’s synth and ‘feel good” sensibilities. I can think of few artists who have been able to come back three decades after their zenith and put out a legitimately good album. And yet, “Raise Your Expectations” stands before us, like the proverbial man in the mirror, compelling us to challenge our own assumptions, preconceptions and cynicism. There is also a sense that this album is the one in their catalog that the band really wants you to really hear. Within it is a sense of carefree and rebellious liberation, like a proverbial middle finger being raised to their critics. Nowhere is this more evident than in the brazen, in your face, lyrics of their song “Bad Review.” This is, without a doubt, the band’s best, and most satisfying album in their discography. However, Animotion’s new album does create a bit of a dilemma: it makes their previous “Greatest Hits” compilation starkly deficient, obsolete and incomplete as more than a few songs off their new release are deserving of a place in the latter. I had the chance to catch up with the cordial Astrid and Bill after their performance at the Totally 80’s Festival in Huntington Beach on May 13th. I was particularly eager to talk to them about their new album, as well as their legacy in the pantheon of great 1980’s bands. 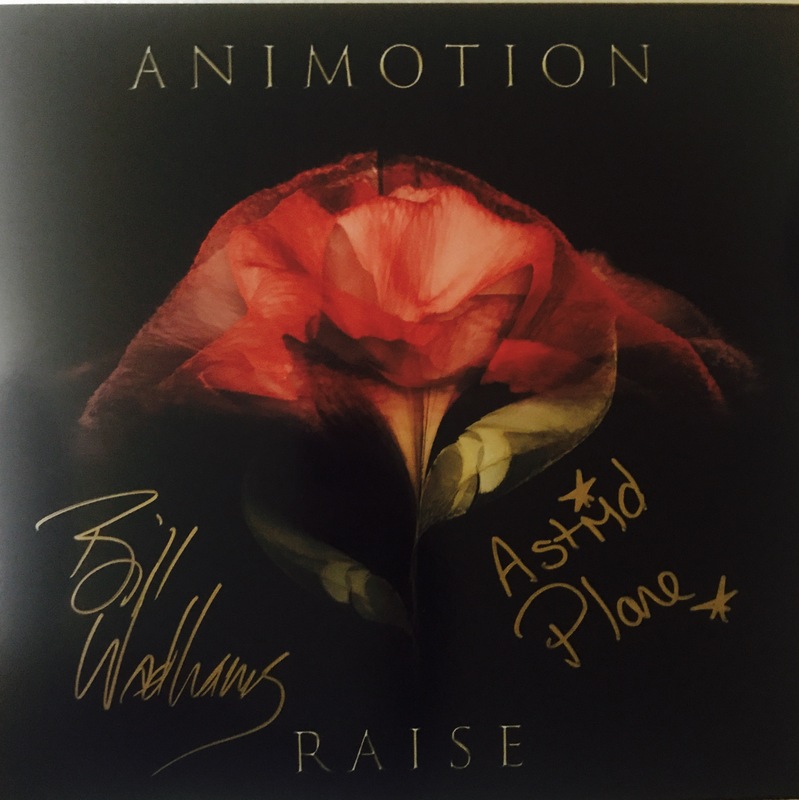 BIG NEWS: We were lucky to have received a few autographed lp and cd copies of “Raise Your Expectations” that we will be giving away beginning today (6/5/17). We want to help spread the word about this great album and encourage people to check it out but we need your help. THE RULES: (1) “Like/follow” Inner Edge Music on social media (FB, Twitter, Instagram); (2) Share our Facebook post of this article; (3) Retweet our Twitter post of this article; (4) “Heart” our Instagram post for this article. Each share/like/retweet, etc will count as one “entry” in the contest. Contest ends at 5pm PST Monday, June 12th. The top 3 participants with the most verified entries will be contacted, announced, and sent their free autographed copy of the album in CD or LP format. Good luck!